This is one of the most genius ideas I have seen in a long time. If you’re like my family, I pay the bills, know the passwords, and know where all the important documents are… if you ask my husband, he may know some. So, in the unfortunate event of an emergency, this is such a great idea. 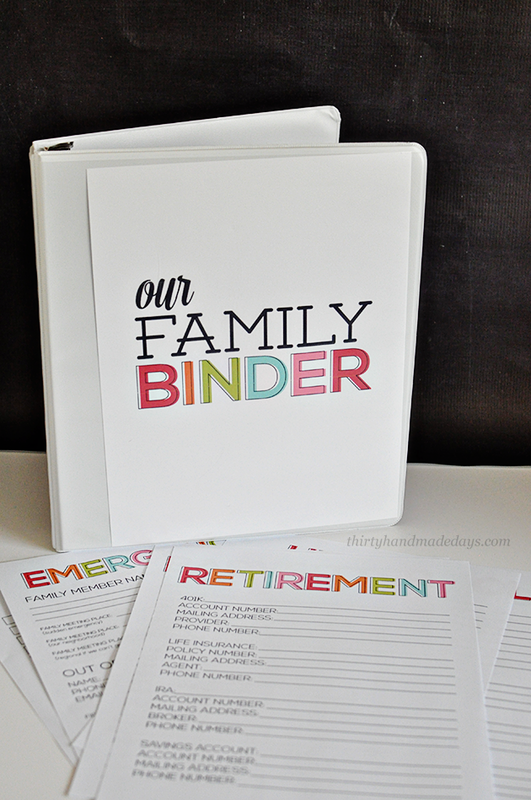 Found over at Thirty Hand Made Days they have this wonderful family binder with with free printables. Keep all that valuable information in one place.